Gretsch USA Custom 2019 Red Gum 10, 12, 16, 22, 5.5x14 direct from NAMM. WE HAVE THE NAMM SHOW KIT. GRAB IT NOW. SHIPS IMMEDIATELY AFTER NAMM. To celebrate this long and historical lineage, recently announced the release of a Limited Edition USA Custom Exotic Red Gum drum kit. 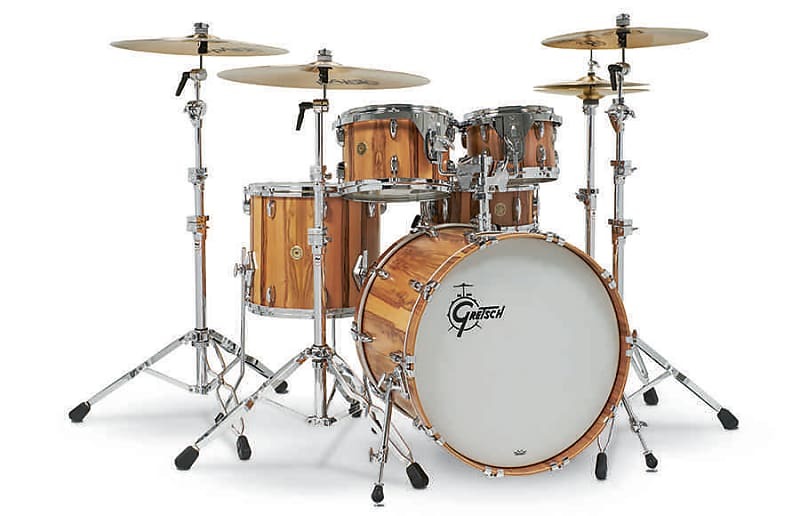 Only 50 kits will be produced worldwide, each with the 6-ply Gretsch-formula maple/gum shell, 30-degree bearing edges, exclusive silver interior finish, die-cast hoops, double tom holder and Satin Millennium Burst nitrocellulose lacquer finish.